Happy Saturday All! So I am continuing with my 31 Days of Yumminess. I am a little behind in recipes, but no worries I still plan to post all my new recipes I have been trying out. Pinterest has been a great source for finding new yummy things to test out try with my family.. We're having a lot of fun around here sampling all kinds of goodies lately. So last week I tried a new pancake recipe. No more store bought mixes for me. We finished our last bag of store bought simpleness and have moved on to finding a homemade recipe just for our family. Well we found one and dang is it good! It is from Chef in Training. This lady rocks! She always has such simple, yummy recipes. Check her out. You so will be re-writing your menu for the week. Trust me her stuff is gooooood. That is where I found our new favorite Buttermilk Pancake recipe. I didn't get a chance to make her syrup, but plan to next time. I didn't have enough buttermilk. I will plan better next time. 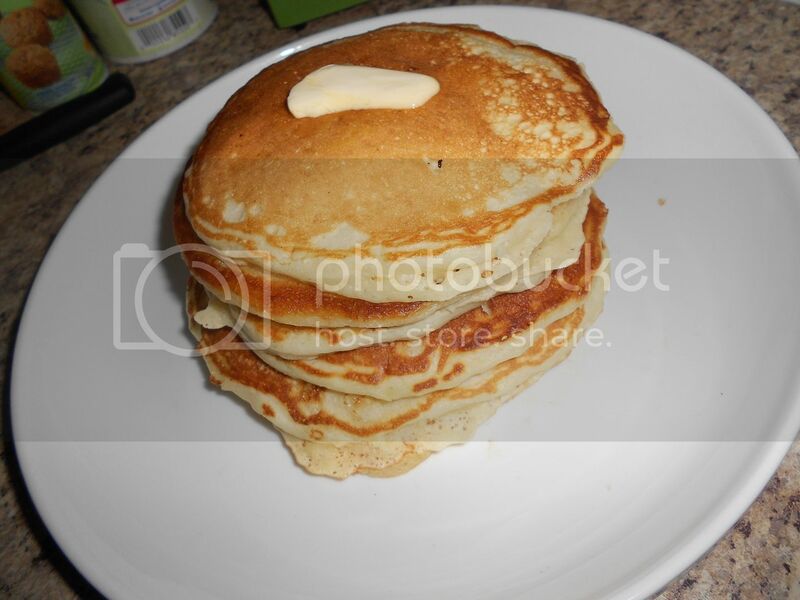 Anyhow here is the recipe for Buttermilk Pancakes. I put all the wet ingredients in first and then mixed them in my Kitchen Aide Mixer. I then added the dry ingredients and mixed again. Pour them onto a hot griddle and cook. Enjoy these with your family this week. You will so not be sorry. could you make this pancakes in advance and then freeze them so it saves less time in the morning and money on buying frozen pancakes? I was wondering the same thing. Can you freeze these? Have you ever tried?